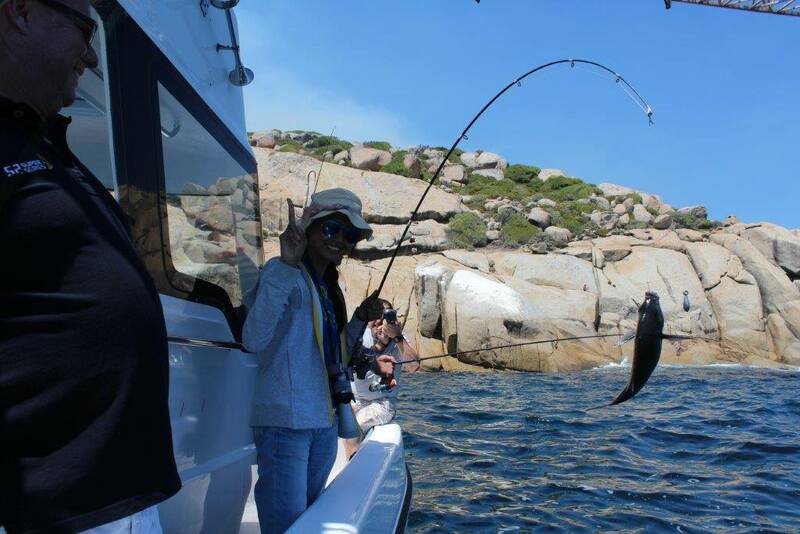 Cape Town is blessed with a rich coastline full of structure, reefs, kelp forests and sandy bays. 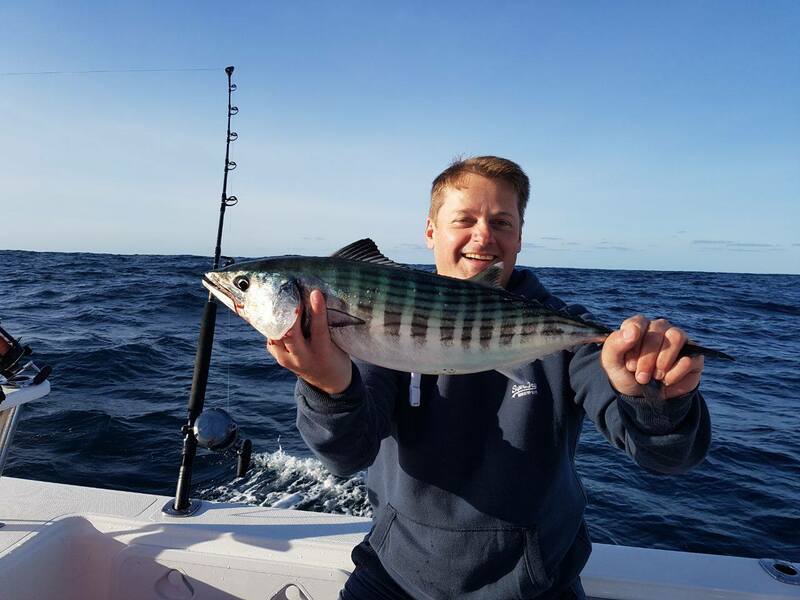 This makes the perfect habitat for many fish species and we know how to find them! 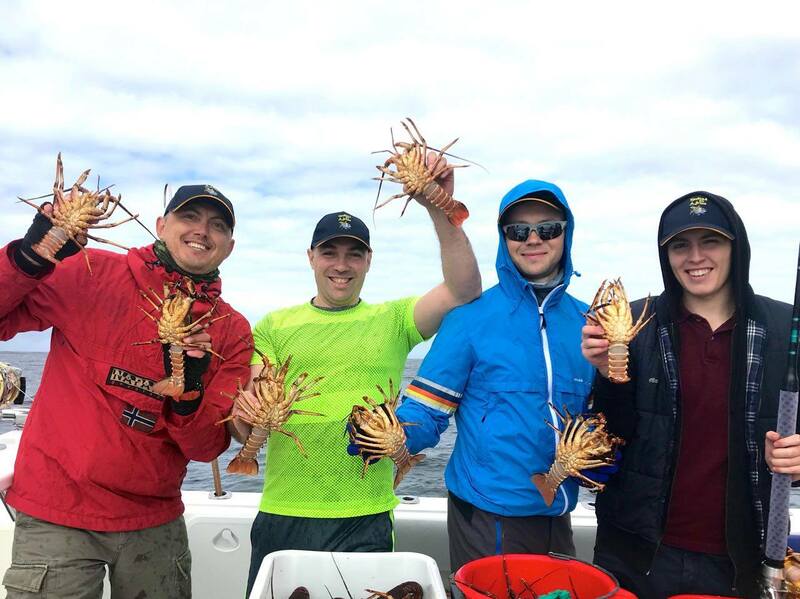 Reef and inshore fish species include Galjoen, Red Roman, Blacktail, Carpenter, Red Stumpnose and crayfish (West Coast Lobster). 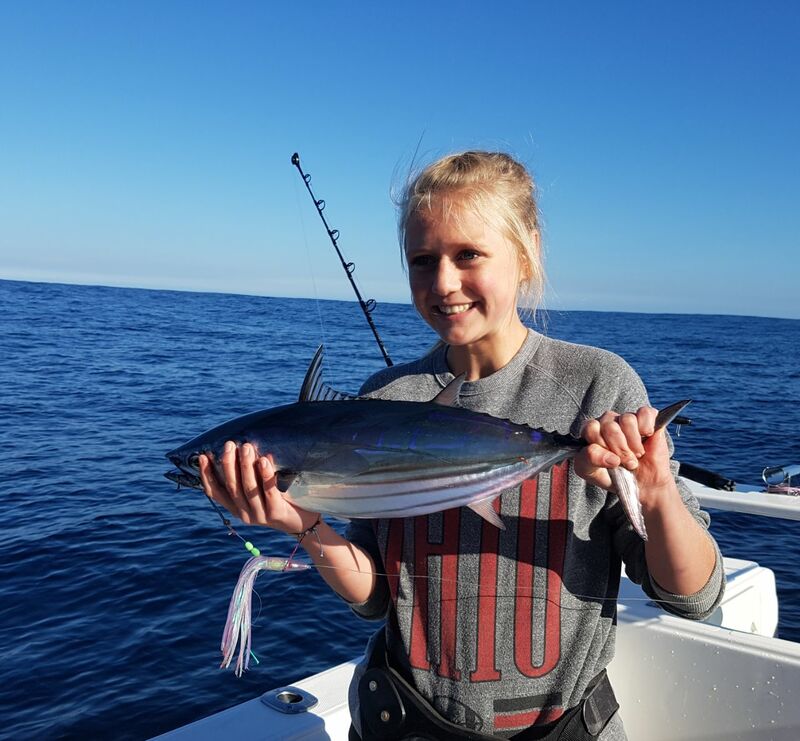 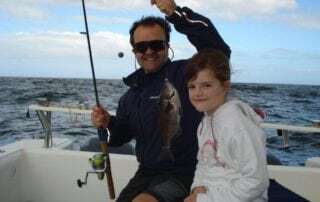 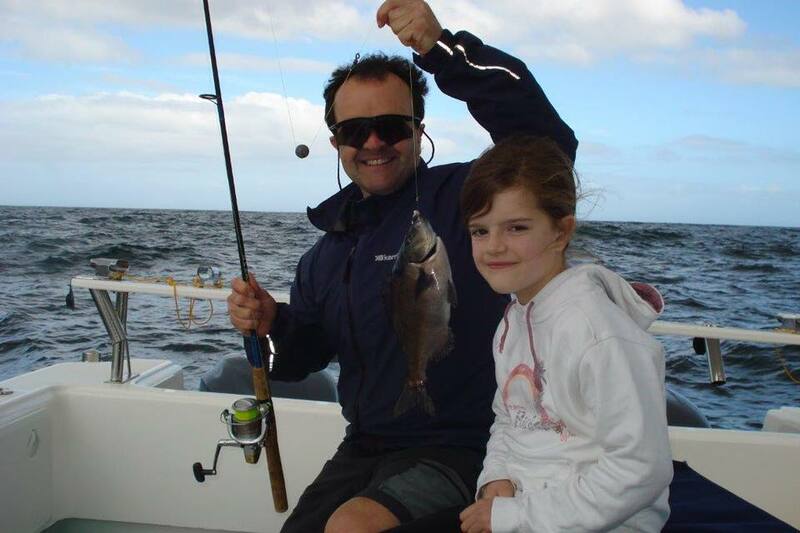 They make for exciting fishing, especially for inexperienced and younger anglers. 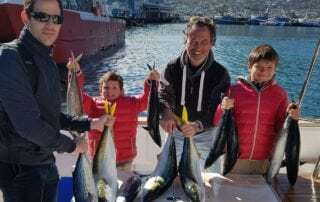 On occassion, we will target Yellowtail, Katonkal and Bonito when the conditions are right. 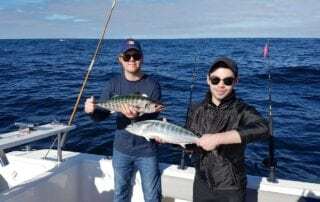 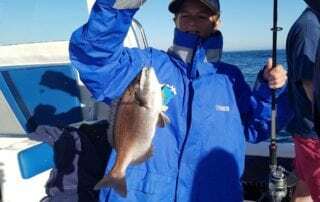 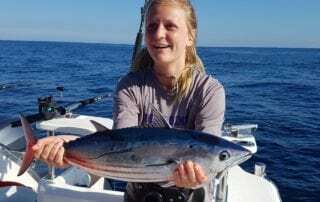 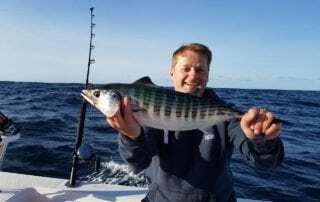 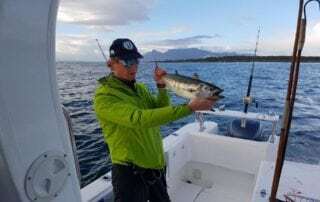 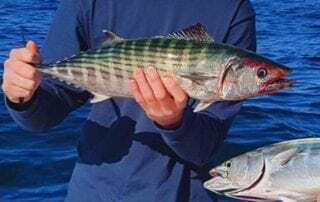 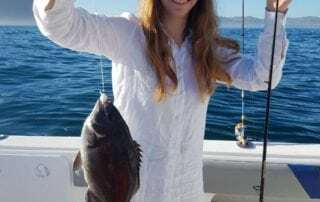 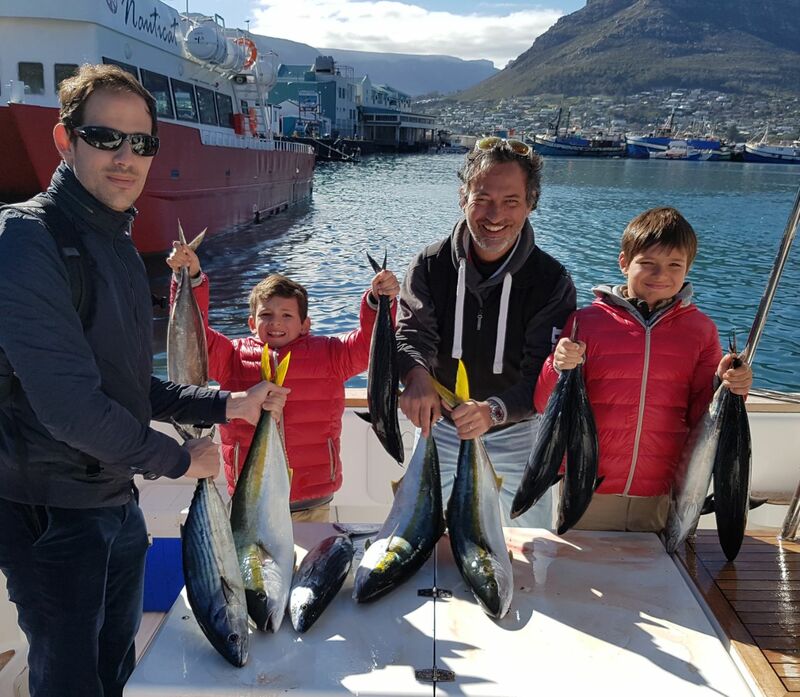 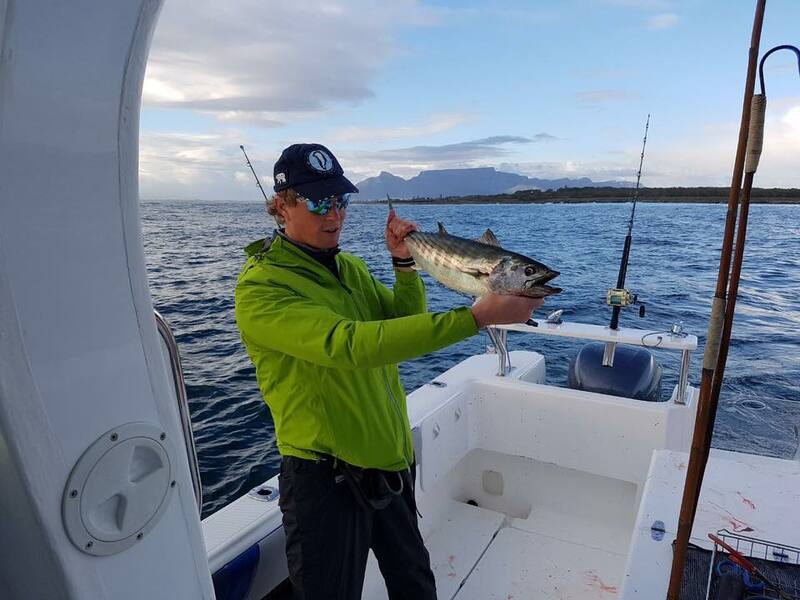 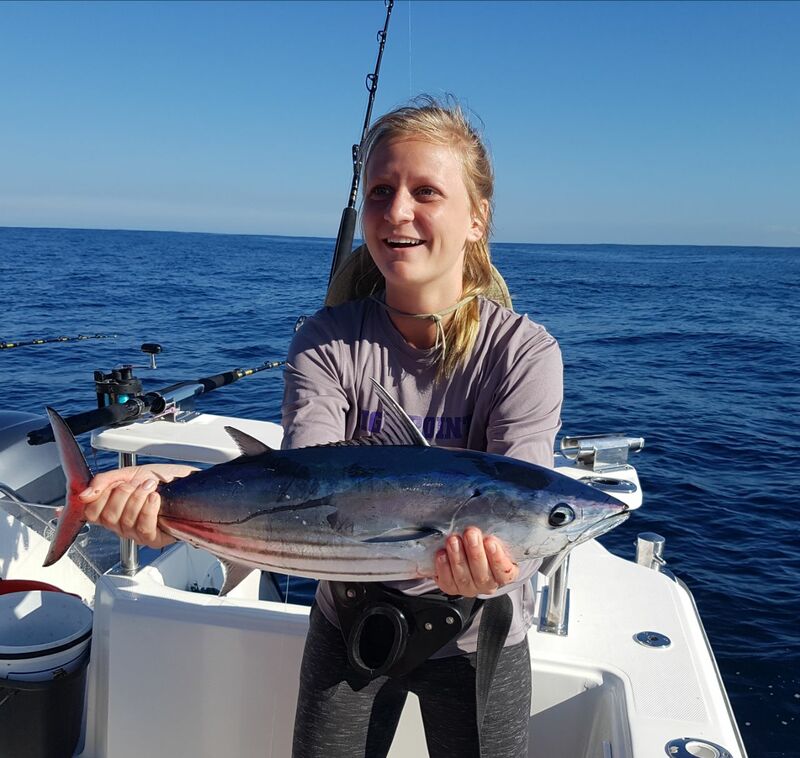 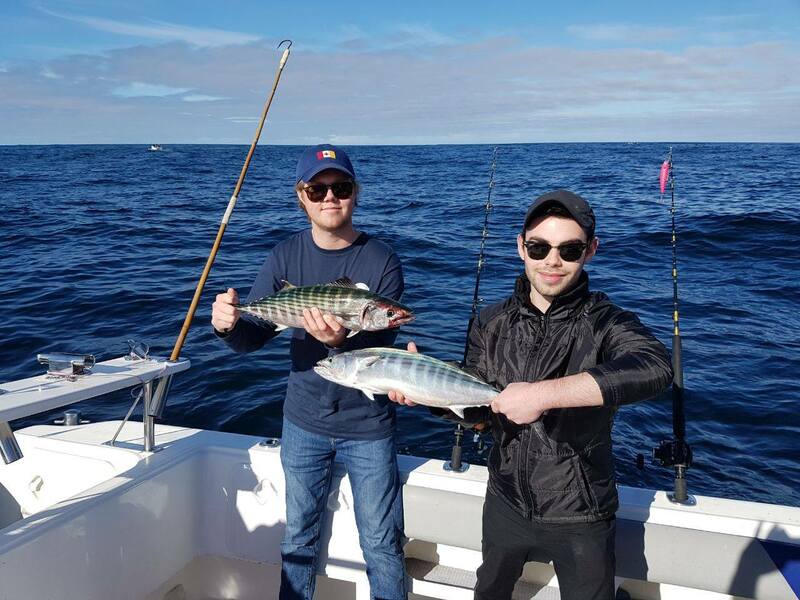 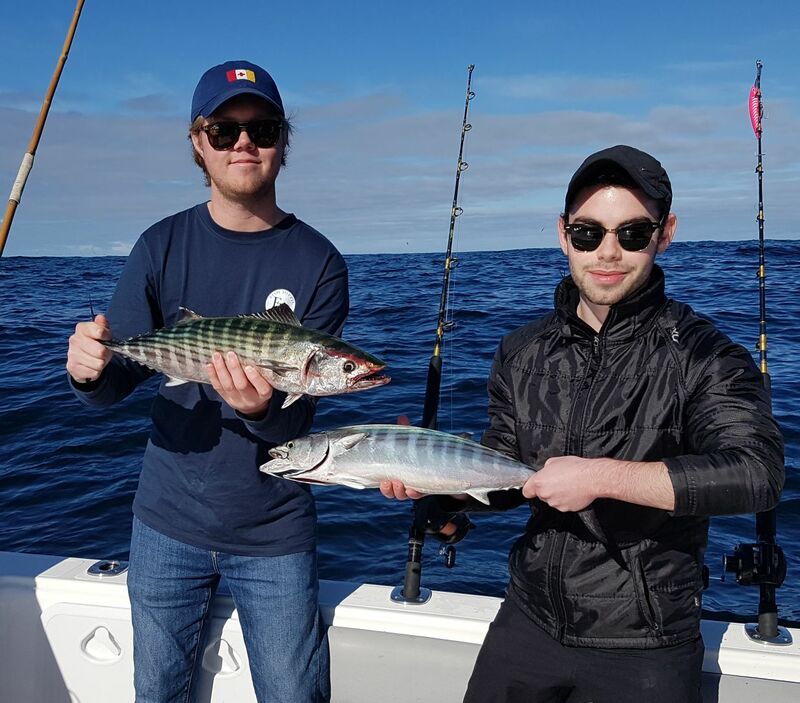 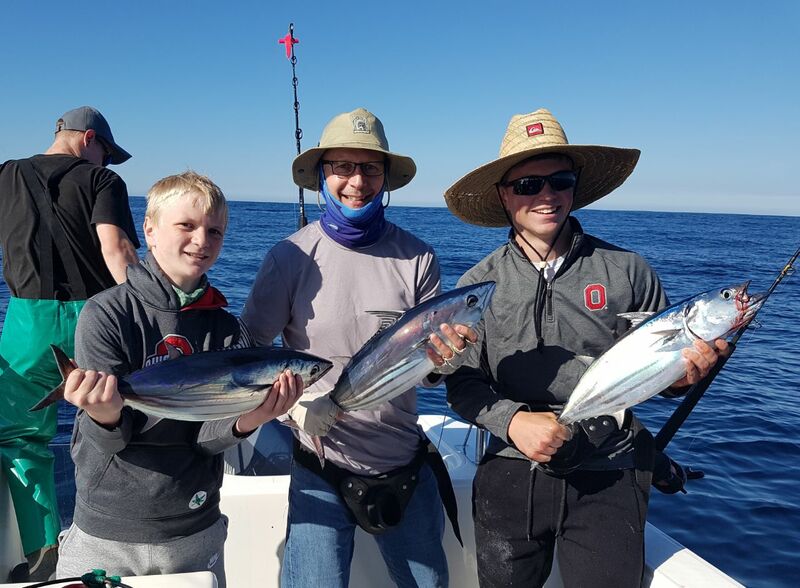 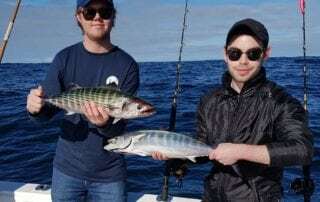 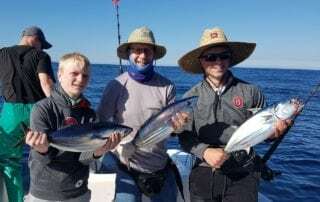 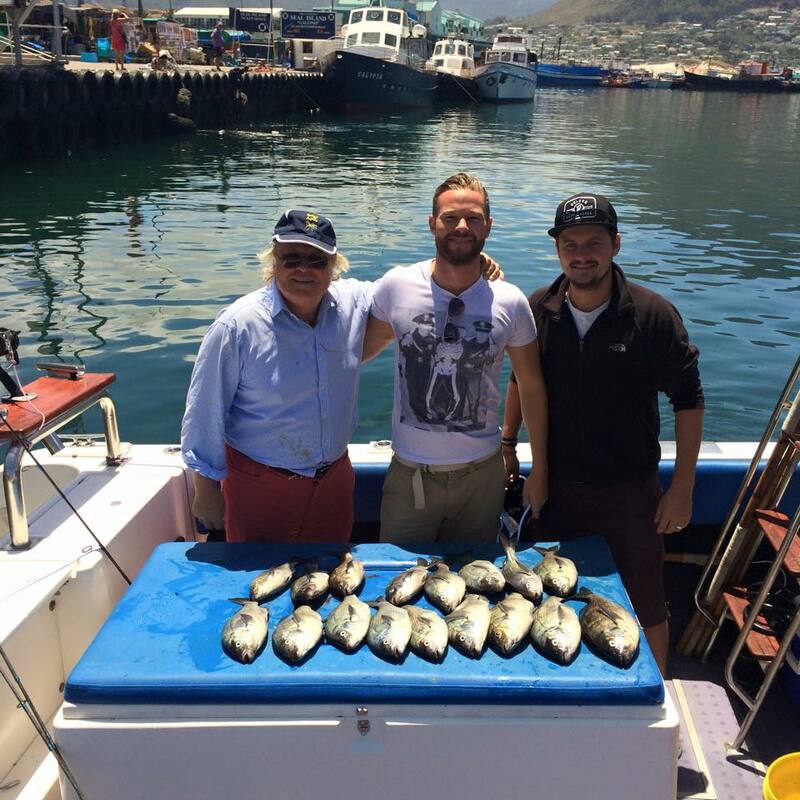 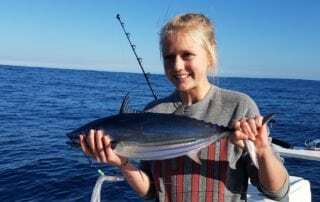 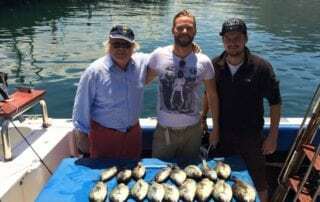 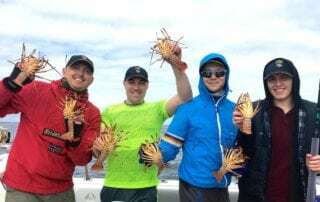 Because there fish species are often found closer to shore, this charter is great for a half-day trip if your time is limited or you’re with inexperienced anglers. 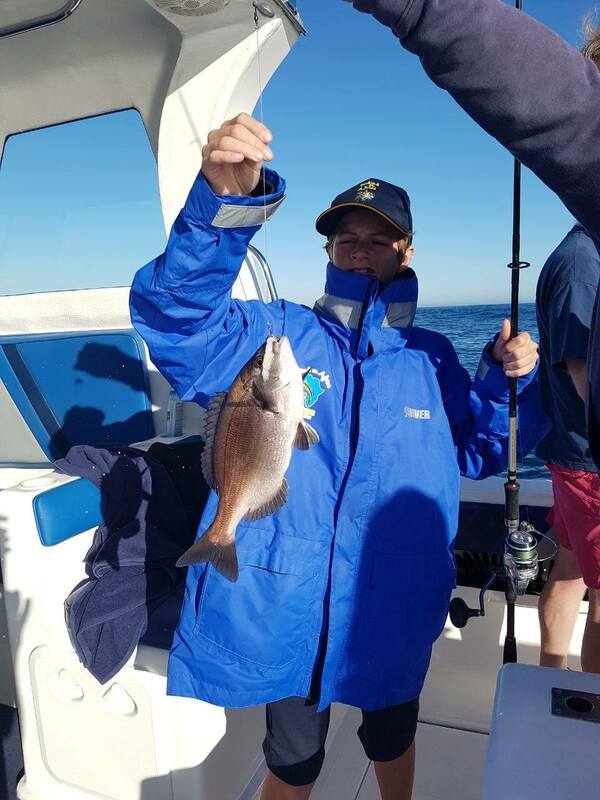 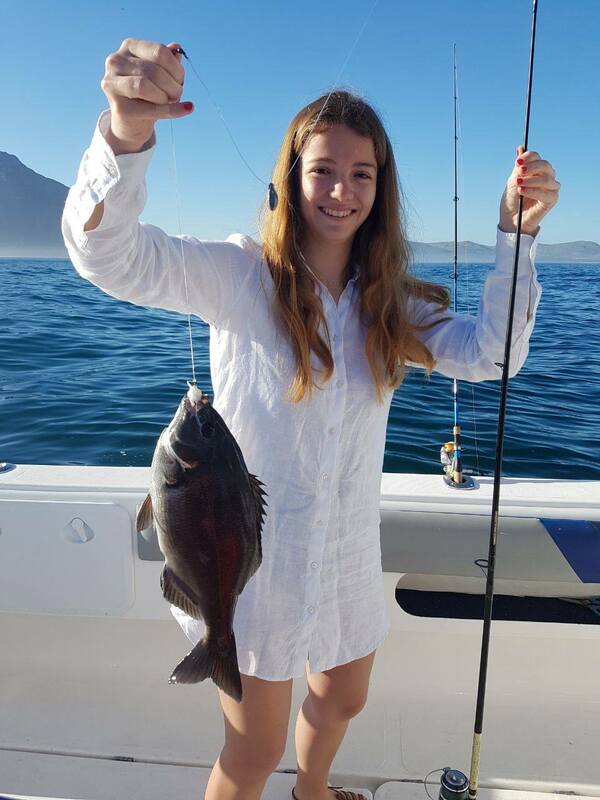 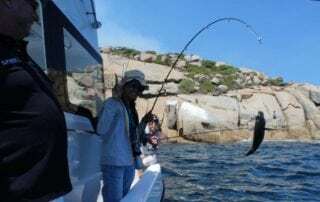 Although these fish are often smaller, we use ultra light tackle which makes the fight just as exciting as a 50kg yellowfin Tuna! 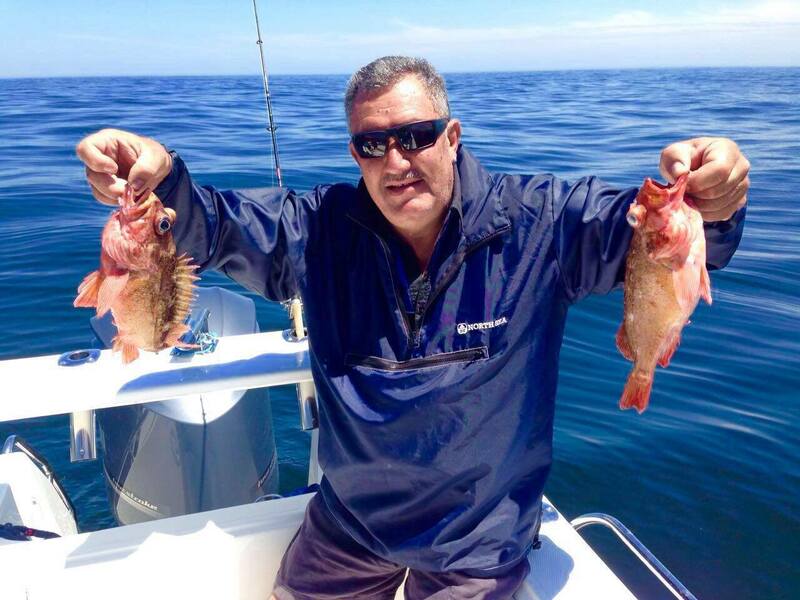 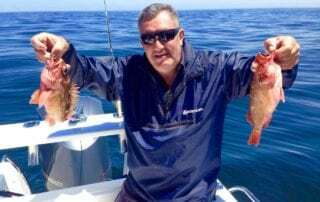 Inshore Half-Day Fishing Charters	Overall rating:	5	out of 5 based on 4	reviews.